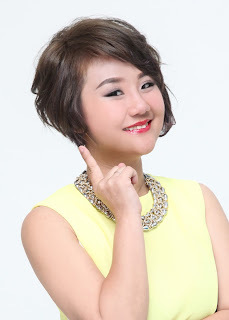 Wendy Pua | Malaysia Chinese Lifestyle Blogger: Jacob Walk of Life 2011 is Back !! Jacob Walk of Life 2011 is Back !! Jacob's Walk of Life is back, and this year, we invite you to Pledge To Health by being part of this yearly event. Come join us as we embark on a mission towards getting Malaysians to Take The First Step Towards Better Health. Learn how Jacob's can contribute to a healthier you with fun filled activities for you and your loved ones. You can register for this exciting event from 20 June 2011 onwards. But hurry, though, as only 7,000 slots are up for grabs. Each successful online registrant will get a goody bag and a free T-shirt. Plus, you can also register up to six persons (including yourself) in just one sign-up with our online group registration feature. Joining us at the event are Hot FM DJ Fara and My FM DJs Jack and Mei Yan, so be prepared to get thoroughly entertained after sweating it out! 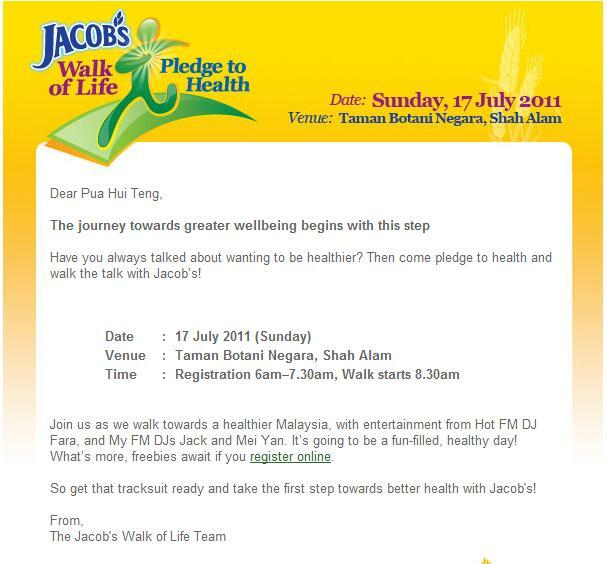 Supported by co-sponsors Anlene, Mizuno and Fitness First , Jacob's Walk of Life 2011 is set to walk the talk in making Malaysia healthier. Slots are limited so book your place now. Let’s take the first step and walk towards greater wellbeing with Jacob's! We go walk together gather there and cam whoring! When the next programe for this year 2013......"JACOBS WALK FOR LIFE"? Is it the same place....at Taman Botani, Shah Alam....Will see u again, yeah!!! Charles Worthington Buy 1 Free 1 Promotion. All-New Watsons Brand Campaign- Isn’t Life Great?